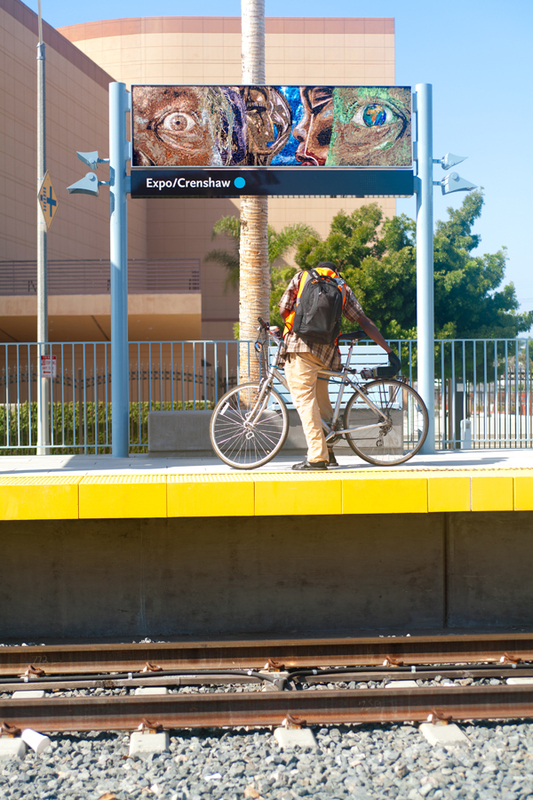 Go CicLAvia, Go Metro Art! This Sunday, when you’re walking, cycling, skating or otherwise playing your way through the streets at CicLAvia, be sure to check out bounties of art along the way! 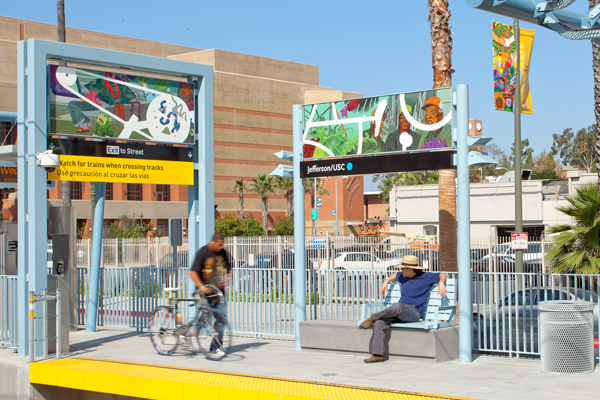 The 9.1-mile CicLAvia route–with new spurs to Exposition Park, Chinatown and Boyle Heights–connects with 14 Metro Rail stations, each featuring artwork created specifically for its site. See map with Metro stations here. Explore Metro Art here. 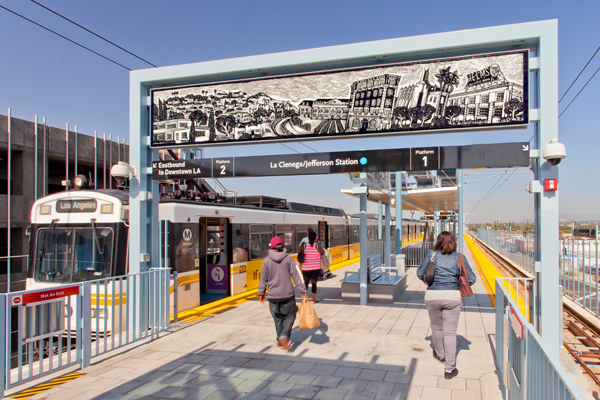 Some of the newest artwork in the Metro system is showcased along the recently-opened Expo Line (fortuitously, the CicLAvia route intersects with the Expo Line for the first time, providing easy access from neighborhoods along the east-west corridor to this quintessential L.A. event). 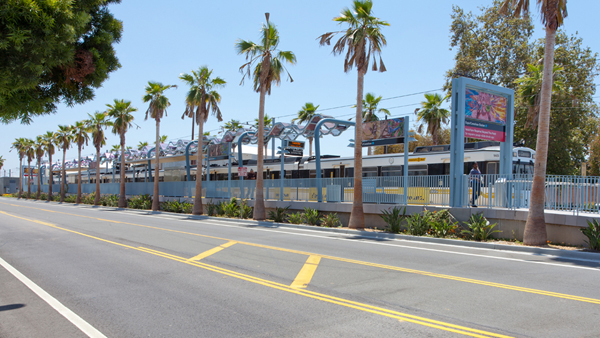 Each of the 10 new stations displays a series of mosaic and porcelain enamel artworks along the platforms, with a total of 176 original artworks spread between Culver City and downtown LA. 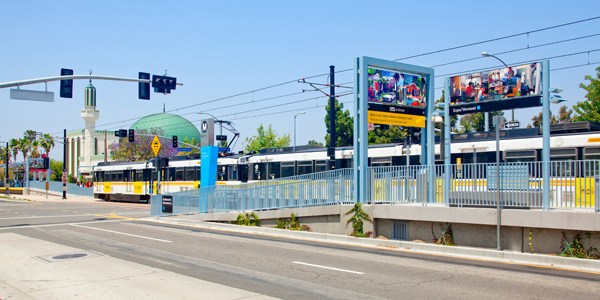 So, here’s an idea: take the Metro Expo Line to CicLAvia (or Red, Purple, Blue, or Gold Lines), and explore L.A.’s unique artistic landscape along the way for a fun-filled day of cultural and civic enrichment. Then congratulate yourself on a day well-spent! the art work is well taking a look at.. Also, the old Pacific Electric RED CARS are well represented on the platforms at several stations…a very nice toutch.